Understanding the diversity of microflora is of importance for the pharmaceutical microbiologist. Knowing the potential origins of different micro-organisms can indicate the potential source of contamination. 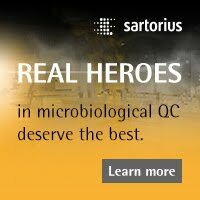 Knowing the species of a microorganism can provide invaluable information as to its origins. For example, many Gram-positive cocci are part of human skin flora, Gram-positive rods can be transferred into clean areas via equipment and on footwear, and Gram-negative rods are often linked to water sources. Such characterisations are important for various root cause analyses, such as linking contamination from surfaces to intermediate product, determining if contamination could have arisen from personnel intervention, or understanding if a sterility test failure is due to product contamination or is a false positive. "Where environmental conditions could reasonably be expected to have an adverse effect on product quality, the manufacturer shall establish and maintain procedures to adequately control these environmental conditions." Microorganisms found in pharmaceutical ingredients, water for pharmaceutical use, the manufacturing environment, intermediates, and finished products are frequently identified (‘speciated'). This is especially common if their numbers exceed alert and or action levels for the material or process environment tested. The method of identification is based on the needs of the microbiologist. 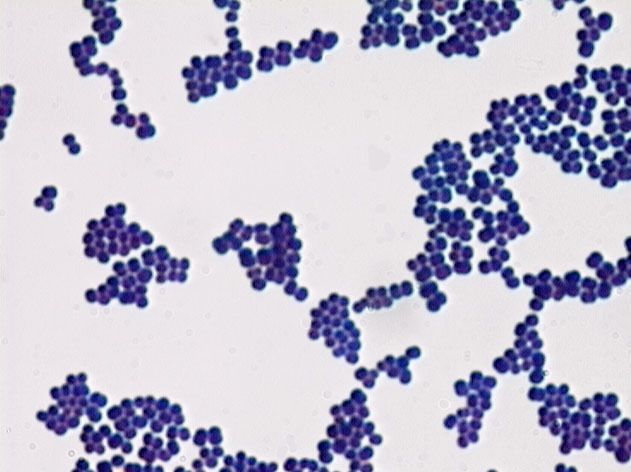 In some circumstances to know that a micro-organism is a Gram-positive coccus can be sufficient (where, the differentiation between a Staphylococcus and a Micrococcus) is of little relevance when evaluating what is found in a cleanroom. In other circumstances, a phenotypic identification is undertaken so that the microbiologist can understand the general profile for microorganisms. 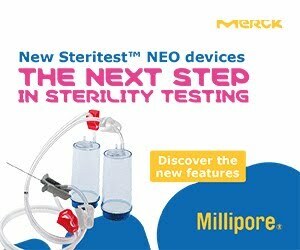 In more specific circumstances such as where a sterility test has failed a close genetic match between the sterility test contaminant and cleanroom microflora may be sought. The first step of most identification schemes is to describe the colony and cellular morphology of the microorganism. Colony morphology is normally described by directly observing growth on agar, where the colony will appear as a particular shape (such as raised, crenated, spherical and so on) and the colony will have a particular pigment. Some microbiologists will attempt to identify the microorganism based on such visual identification. This is not normally encouraged as considerable experience is required to do this and the variety of microflora cannot be characterised with any degree of accuracy. Furthermore, the characteristics of a microorganism are often dependent upon the type of culture medium used. Nevertheless, a description of the morphology can assist with further stages of identification. Cellular staining provides important information relating to the composition of the microbial cell wall, as well as the shape of the organism. 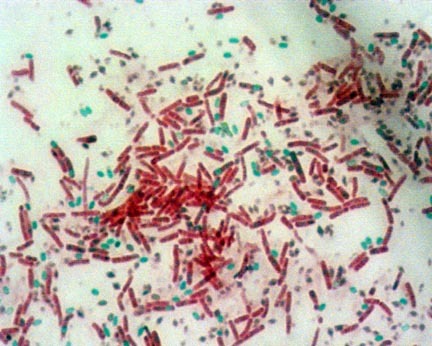 Some bacteria, such as species of Bacillus, form endospores. Knowing if spores are present can help to characterise such organisms. Common spore staining methods employed include a two-step method: malachite green (primary stain) and safranin (counter stain). The fixed bacterial smear is stained with 7.6% aqueous malachite green solution for 10 minutes (sometimes this is facilitated by ‘steaming' the stain), rinsed, and counter stained with a 0.25% aqueous safranin solution for 10 seconds, rinsed, and blotted dry. This procedure stains the spores green, but the rest of the bacterial cell is stained red. Lactophenol Cotton Blue Stain is used in wet mounts for microscopically examining yeast and filamentous fungi and serves as both a mounting fluid and stain. Staining the specimen light blue allows subtle features such as septa, special mycelia and spore structures to be easily visualized by microscopy. The majority of fugal identifications are undertaken based on the morphological characteristics of the stain and growth on solid media. Once the cellular characteristics have been reported, the second stage of identification is to identify the genus and species of bacteria. The most common techniques used, based on their costs and long history, are biochemical tests. Key biochemical screening tests, which aid the further differentiation of bacteria, include the oxidase test to separate Gram-negative rod-shaped bacteria into nonfementers (oxidase positive) and enteric (oxidase negative) bacteria; the catalase test to separate Staphylococci (catalase positive) from Streptococci (catalase negative), and coagulase test to separate Staphylococci into coagulase negative (presumptively nonpathogenic) and coagulase positive (more likely pathogenic) Staphylococci (like S. aureus). Phenotypic reactions typically incorporate reactions to different chemicals or different biochemical markers. These rely on the more subjective determinations. The reliance upon biochemical reactions and carbon utilization patterns introduces some disadvantages to the achievement of consistent (repeatable and reproducible) identification. 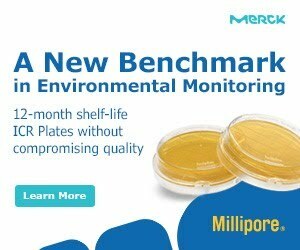 However, these are mature technologies, such as the API strip, that are marketed by multiple companies as consistent, pre-packaged kits with well-established quality control procedures often with instrumentation with extensive databases to identify the most commonly encountered microorganisms found in the pharmaceutical industry. The API strip is basically a pre-packaging of the standard methods of a series of test tubes into a convenient bubble-wrap design. This method was further refined with the VITEK automated systems which miniaturised the process. An alternative method is the Biolog, which uses a 96-well plate containing different carbohydrate sources and a reaction dye to produce as so-called ‘metabolic fingerprint'. Other variations include fatty acid analysis through the use of gas chromatography. In contrast to the phenotypic methods genotypic techniques are more accurate. 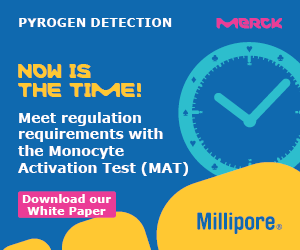 This is because the microbial genotype is highly conserved and is independent of the culture conditions, so the identifications may be conducted on uncultured test material-primary enrichments that increase the amount of nucleic acid available for analysis. Genotypic microbial identification methods based on nucleic acid analyses are less subjective, less dependent on the culture method, and theoretically more reliable.